Your emergency department can learn a thing or two about healthcare fraud from these big cases -- and discover three ways to prevent them from happening at your ED. Does your emergency department have a plan to actively prevent healthcare fraud? Without a compliance program all your staff agrees to follow, you leave your ED open to potential violations that may not only ruin your professional reputation, but also cost thousands of dollars to fix. Not to mention anyone involved in healthcare fraud faces the possibility of incarceration and sometimes even forfeits their right to practice medicine. Yet despite these dire consequences, people still continue to cheat the system. Healthcare fraud is so rampant it’s estimated that 10 cents of every dollar spent on healthcare is used for paying fraudulent claims like these next examples[*]. Billing providers, Medicare, or Medicaid for services never rendered. Unbundling, or billing each step of a procedure as if it were a separate procedure. Billing for more expensive services or procedures than were actually provided/performed. Prescribing unneeded, fully-covered prescription pills and selling them on the black market. Between 2007 and 2013, businessman Aleksandr Burman owned and operated six medical clinics in Brooklyn and hired physicians like Mustak Vaid, MD, and Ewald Antoine, MD, to pose as the owners. Since medical clinics must be owned and operated by a medical professional according to New York law, Dr. Vaid signed documents falsely representing his sole ownership to banks, Medicare, and Medicaid. He also falsely claimed he treated hundreds of patients and wrote prescriptions and referrals for medically unnecessary tests and supplies, the Department of Justice said. All in all, Burman and his physicians submitted $30 million in fraudulent claims to Medicare and Medicaid from their six medical clinics. In May 2017, Burman was sentenced to 10 years in prison for his scheme[*]. Dr. Vaid was sentenced to 18 months and Dr. Antoine was sentenced to one year and a day in prison[*][*]. An office manager, business partner, physical therapist, occupational therapist, and more are still awaiting trial. New Jersey cardiologist Apostolos Voudouris, MD, was sentenced to 20 months in prison for billing the Veterans Affairs program a total of $238,230 for 350 fraudulent claims for services he never performed, according to the Department of Justice[*]. Dr. Voudouris was fined $7,500 and ordered to pay restitution of $238,230. He also entered into a civil settlement with the government and will need to pay $476,460 to resolve those false claims allegations[*]. Prime Healthcare Services, the owners of 45 acute care hospitals, came under fire when the DOJ alleged 10 PHS-owned hospitals and four Prime Healthcare Foundation-owned hospitals in California submitted false Medicare claims between 2006 and 2013. Unnecessarily admitted beneficiaries who initially went to EDs at the hospitals even though they only required cheaper, outpatient care. Billed for higher-cost patient diagnoses so they could gain more reimbursement from Medicare. Prime Healthcare Services agreed to pay $65 million to the federal governmentto resolve allegations without liability determined, The Wall Street Journal reports[*]. And under the settlement agreement, PHS is required to hire an independent review organization to check the accuracy of their claims for services given to Medicare beneficiaries[*]. In addition to billing fraud, the DOJ is also trying to prevent healthcare abuse from contributing to the nationwide narcotics problem. 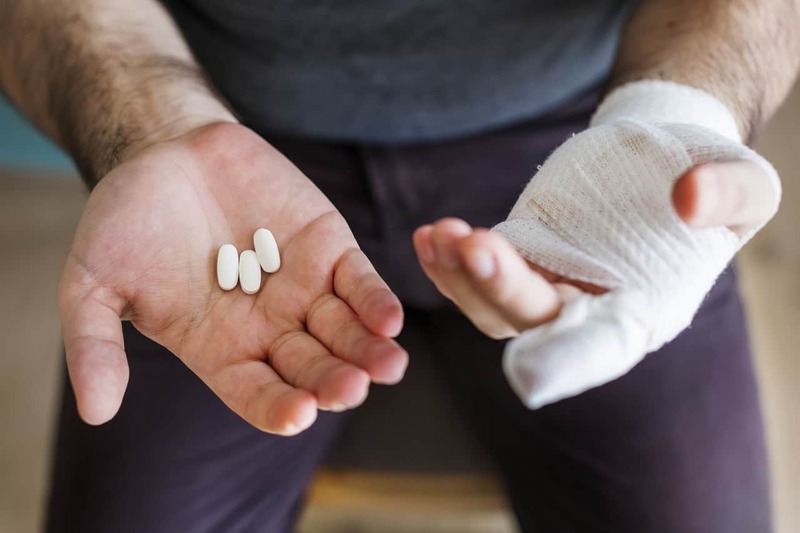 At the end of June 2018, Attorney General Jeff Sessions and Department of Health and Human Services Secretary Alex M. Azar III announced a healthcare fraud takedown against 601 individuals in the medical industry across the country[*]. As the largest healthcare fraud enforcement in DOJ history, 165 medical staff -- including 76 doctors -- were charged in the unlawful prescription and distribution of opioids and other dangerous narcotics. These charges represent 84 opioid cases involving more than 13 million illegal doses of opioids. Participants were also accused of submitting claims to Medicare, Medicaid, TRICARE, and private insurance for medical treatment that was unneeded and/or never provided to the tune of over $2 billion in fraud losses[*]. These examples may sound extreme, but that doesn’t mean your ED can’t experience similar versions of them. If your emergency department can prove it has a comprehensive compliance program in place to prevent healthcare fraud, it will be viewed in a much more favorable light if there’s ever an investigation. So the best way to prevent healthcare fraud and abuse at your ED starts with developing a compliance program everyone’s on board with. A solid compliance program is what defines the culture within your emergency department. Similar to your ED’s ethical and business policies, it’s a way all staff members should be expected to conduct their behavior according to all federal and state laws. So you’ll want to create and write up conduct standards and policies that show your ED is committed to the prevention of healthcare fraud. You’ll also need to set up a way to receive accusations of healthcare fraud from whistleblowers. You may want to consider setting up a hotline or anonymous email inbox for employees to report their concerns free of retaliation. Then you’ll also need to outline the process for what happens when issues of potential healthcare fraud arise. Make sure everyone knows the standard investigation procedure and the types of disciplinary actions that will be taken against those found out of compliance. Under this program you’ll also want to establish continuing education so everyone knows what abuse looks like. Compliance education isn’t something staff should learn once and forget. Doctors, nurses, and billing staff should have access to ongoing education and training to stay sharp. Consider appointing a Chief Compliance Officer and/or other compliance sheriffs within departments to monitor how everyone’s sticking to the compliance program. They’ll be the liaison between your ED’s higher ups and those on the floor. You may also want to conduct evaluations and audits to check in with your staff and prevent issues from going unnoticed for too long. The Office of the Inspector General has guidelines for how healthcare organizations can measure the effectiveness of their fraud and compliance programs so you can see where your ED can improve. Often the biggest red flags stem from improperly coded bills. Medicare and Medicaid claim submissions are being scrutinized on an extreme level to stop fraudulent payments before they reach providers. As these predictive analytics discover inaccurate or inappropriate codings, your ED may accumulate questionable claims and trigger an investigation into your processes. 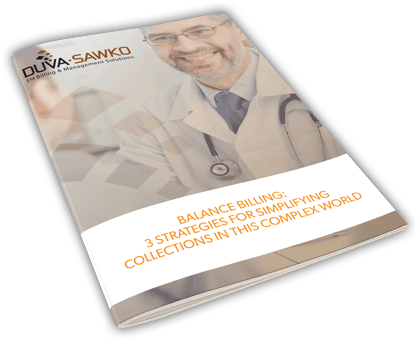 So in addition to providing extra education on correct coding, you may want to think about outsourcing your medical billing to a company well versed in revenue cycle management. This may even help streamline your ED’s operations. After all, the key to coding is to efficiently and effectively mitigate compliance risk while improving accuracy. And it could mean the difference between a simple error and an open investigation. Without a fraud and compliance program in place, your emergency department may not be as effective at detecting and preventing healthcare fraud as it should be. And as today’s examples show, the tremendous consequences for committing healthcare fraud just aren’t worth it.